In a timeless past, a little crow still unable to fly falls out of his nest. 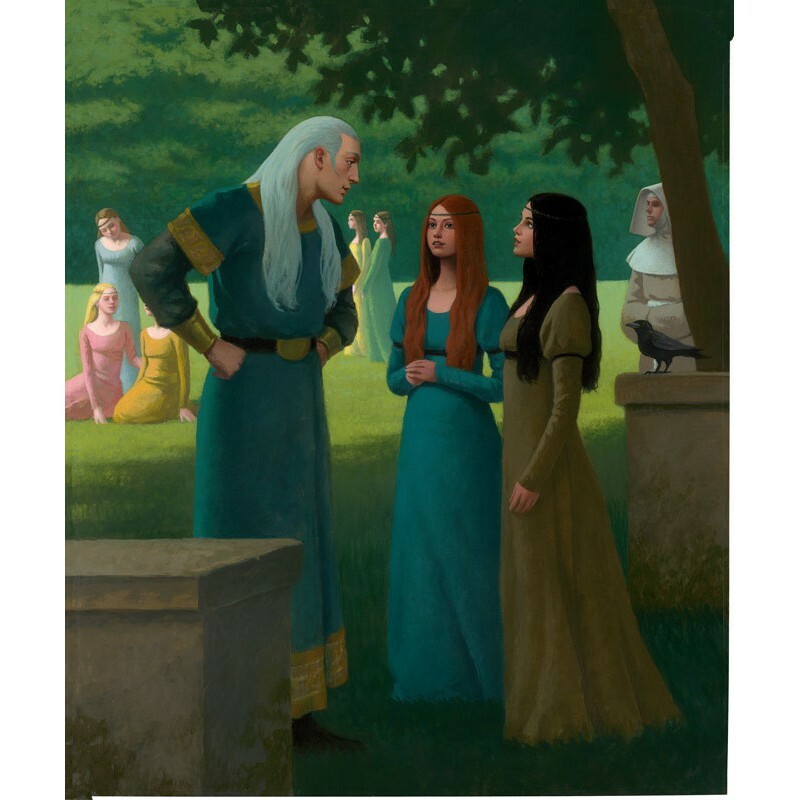 He seems doomed to become the juicy meal of a ravenous cat, when a dark-haired, blind little girl named Cornelia saves him and adopts him, calling him “Jack the raven”. The grateful crow becomes her sidekick, handyman and, in a way, her biographer: indeed, he’s the one who tells the story of her friend and the golden ring. 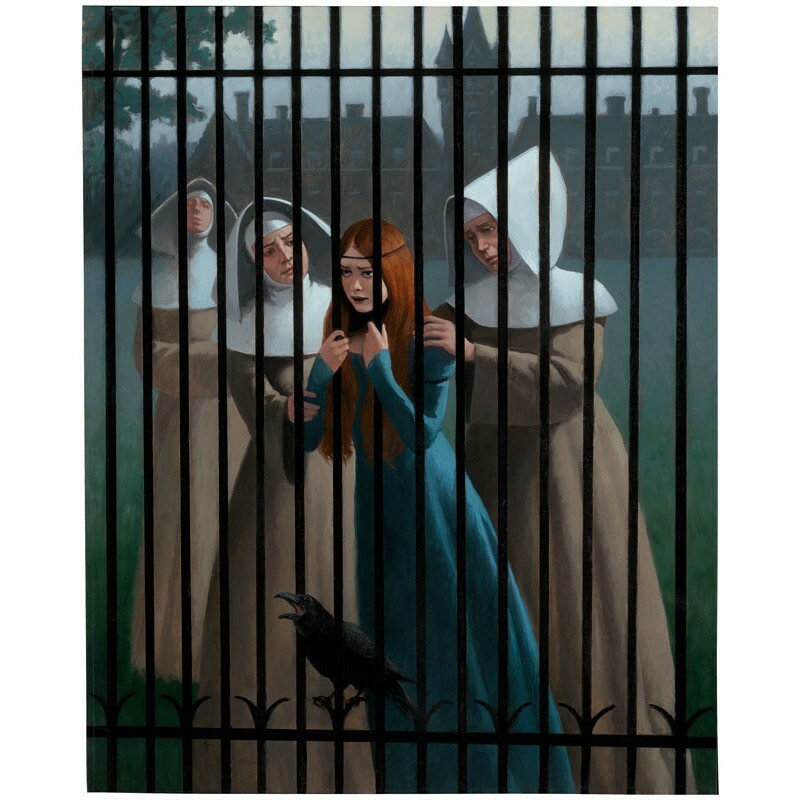 After losing her sight and her parents during a storm, Cornelia is raised by nuns in a female orphanage, where she becomes friends with the ginger Virginia. 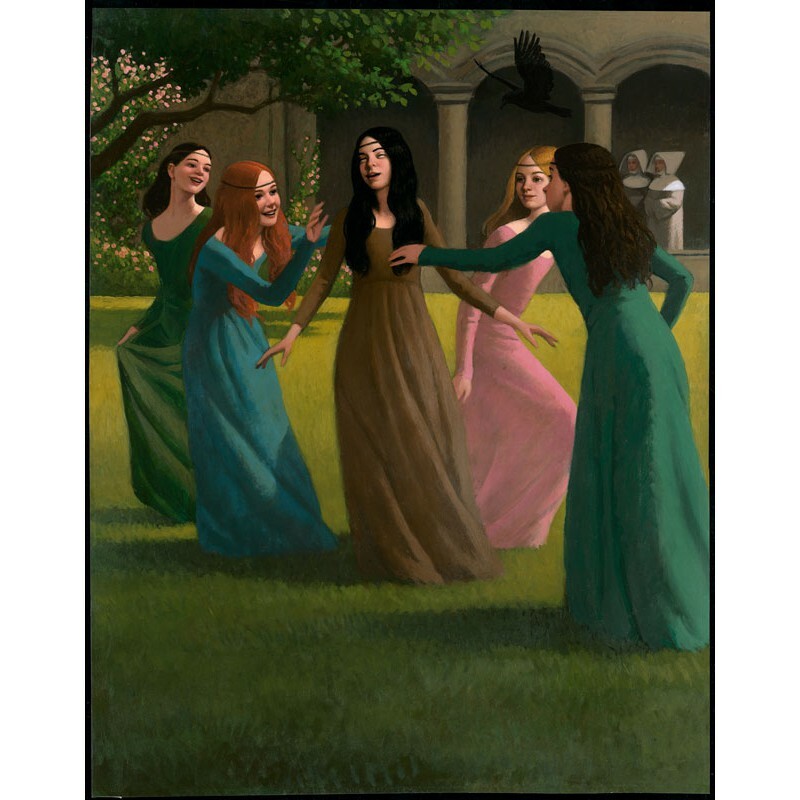 The girls are both very talented for music and similar-looking, although they have very different personalities: Cornelia is quick-tempered and loves literature, whereas Virginia is mild-mannered and good at grammar and maths. 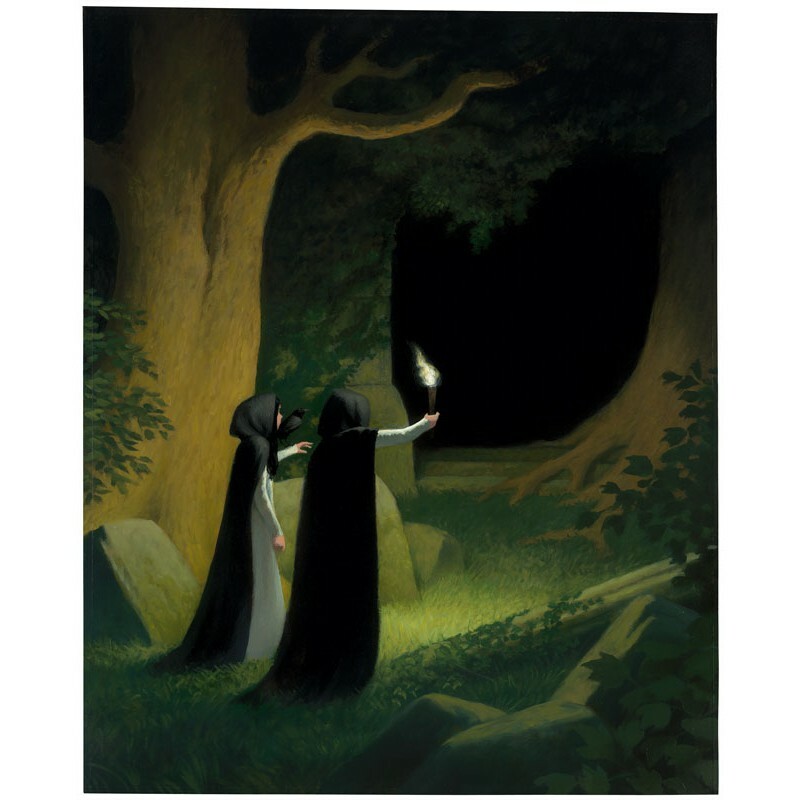 By night, the two girls and the inseparable crow often sneak off the orphanage and go into the forest, to visit the remains of an ancient temple. 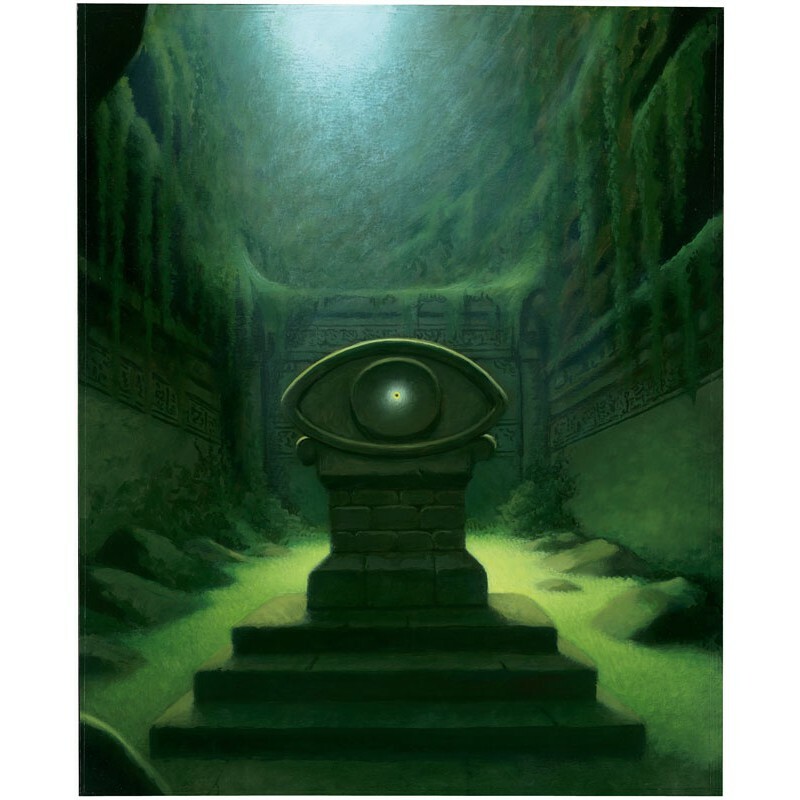 In the main hall of the temple stands out an eye of stone with a golden ring stuck in the iris, and impossible to remove. The legend goes that the chosen one who will be able to wear the magical jewel will lead a happy and prosperous life. 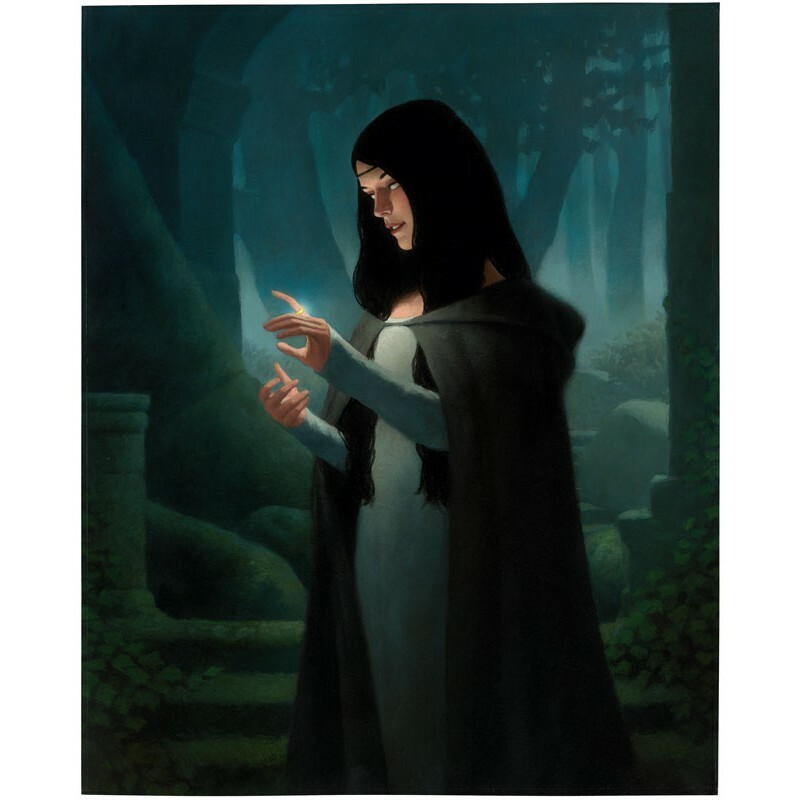 After years of vain attempts, Cornelia finally manages to put the ring on her finger; from that moment on, and also thanks to the intervention of Genius, a charming soothsayer she is in love with, her life changes considerably… But in a way that has nothing to do with the legend’s promises. 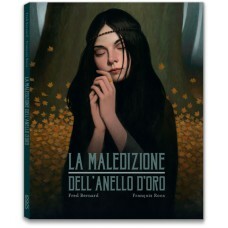 In this story about friendship, adventure, and magic, inspired by Norse and Germanic mythology – recalling Wagner, Tolkien, and King Arthur’s legend – the well-knit couple Bernard-Roca resumes the story of Anya e Tigre bianca (#logosedizioni, 2016) to delve into the personality of the child-stealing witch, focusing on her life as a child and a teenager. The vivid and compelling text by Fred Bernard plays with the codes of classic fairy tales and teaches us to be wary of appearances and to recognize true friends from seductive puppeteers, while the lavish illustrations by François Roca recall pre-Raphaelite painting and, as usual, play with lights and shades and with the plasticity of figures, inviting us to lose ourselves in a legendary and enchanted world. Fred Bernard was born in Burgundy. A great lover of nature, he could have become a veterinarian or an explorer hadn’t he won the competition to enter the Fine Arts Academy of Beaune. He subsequently followed the courses of the Émile Cohl school in Lyon where, in 1991, he met François Roca, who was to become a friend and a collaborator. In 1994 Fred Bernard lived in England for one year, where he got along with small jobs and made hundreds of sketches. In 1996 he published his first illustrated books for children. He wrote and illustrated Mon ami crocodile for Albin Michel Jeunesse, illustrated Warf, le pirate with P.H. Turin for Seuil Jeunesse, and wrote La Reine des fourmis a disparu for Albin Michel Jeunesse, a book translated into images by François Roca and winner of several awards (Goncourt jeunesse 1997, Sorcière prize 1996, prize Jérôme Main prize). Since then, he has published one or two books a year with François and L’Arche de Nino with his friend Nino Ferrer. He has drawn his passion for reading and writing from writers who dealt with travels – J. Conrad, H. Melville, J. London, E. Hemingway, R. Gary. Taking inspiration from his memories, encounters and travels, Fred Bernard imagines lively and compelling characters and singular stories that are interesting for both adults and children. In May 2001, back from Africa, he embarked on creating comics (La Tendresse des crocodiles, L’Ivresse du poulpe, Lily Love Peacock and, more recently, La Patience du Tigre). An untiring and curious storyteller, he loves to try out any kind of writing and plays with his models in order to better reinvent them. François Roca was born in Lyon. He studied in Paris at the École Nationale des Arts Appliqués Olivier de Serres and in Lyon, at the Émile Cohl school. After obtaining his diploma in 1993, he devoted himself to painting for some time, and then exclusively focused on illustration. He mainly illustrates the texts of his mate Fred Bernard, with whom he builds an imaginary universe that renews itself book after book. This “pen-brush” association, which is quite unusual in children’s publishing, allows him to approach themes that are rarely dealt with. A book in particular has marked a turning point in the collaboration: Jésus Betz, which was awarded the Baobab prize 2001 and the Goncourt Jeunesse 2002. This granted the two artists the freedom to tell stories meant for adults: L’Homme-Bonsaï, L’Indien de la tour Eiffel… Within urban architectures and unpolluted natural landscapes, François loves to create characters closely resembling those who made him dream when he was a child, whom he saw at the cinema or on TV. 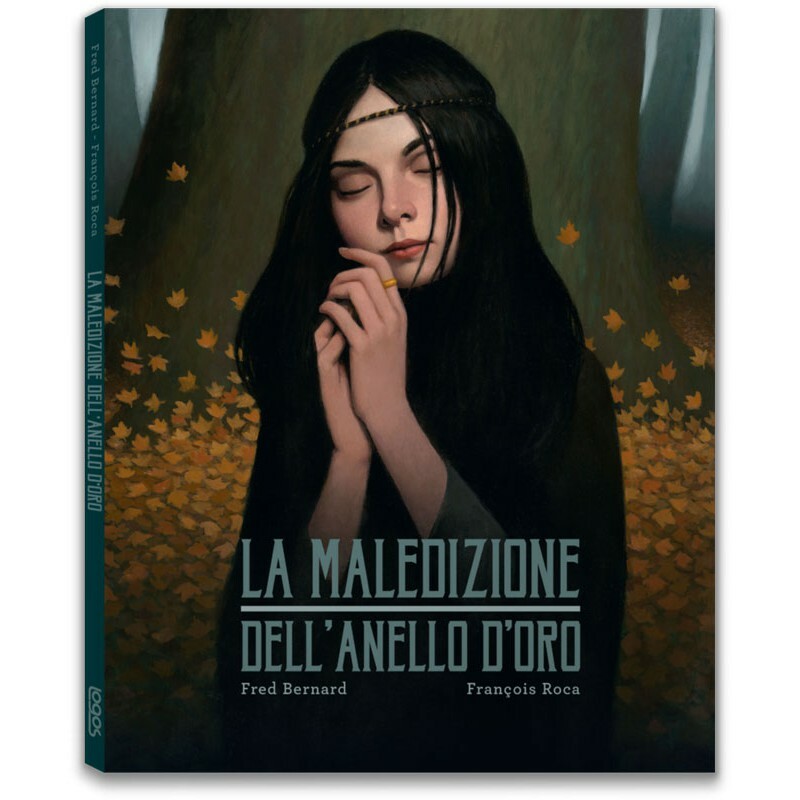 François also designs covers for novels and magazines. A disciple of the painters that he loves and admires, he pays them homage in his books by quoting them through allusions or transpositions that build bridges between artists (E. Fromentin, E. Hopper, F. Remington, J.W. 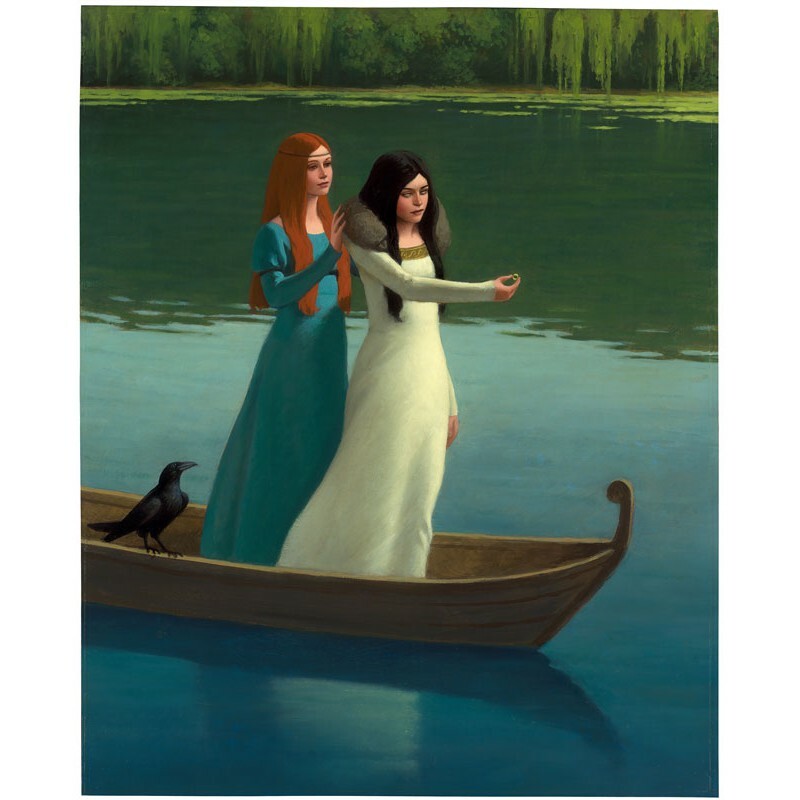 Waterhouse, N.C. Wyeth, Vermeer, L.A. Tadema, D. Cornwell, J.L. Gérome…). Literary and film references often enrich his works, which are typified by excellent effects of light and shade.